Allen Pratt is a senior executive with over 30 years of management experience providing direction, expert advice and transitional leadership. His significant experience includes full P&L management, turn-around and change leadership and supply chain improvements. Mr. Pratt may serve in an interim role 1-2 days a week or 1-2 days a month depending on the scope of the problem and the needs of the client. The mission is to uncover the most significant problems and bring strategic solutions that fix the issues. The basis of the consulting engagement depends on trust, constructive conflict, shared commitment, accountability and a drive for results. Isn't this how you'd like your management team to approach your business? “Allen Pratt was instrumental in providing my company additional services as we outsourced much of our capacity this past year. He created a great partnership environment for us to work in. I found Allen to be professional and eager to help which in turn allowed him to grow his business.” John McCoy, CEO & Owner, Orthman Manufacturing, Inc.
“Allen is a very sharp and experienced executive. I was really impressed at his ability to observe and analyze our business and provide constructive feedback and direction. It takes both tact and intelligence to be able to communicate (solutions) and Allen was able to do both!” Pat Bye, President & Owner, Energy Dynamics, Inc. 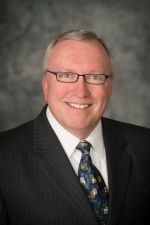 Previously he served as the Assistant Vice President of the North American Division for Manroland AG where he was responsible for turning around the company’s aftermarket business. During his tenure the division grew revenue and market share 20%, improved operating performance up to 3X over six years, profitably launched new ecommerce sites and significantly improved customer satisfaction. Allen also led a Goss International division through Chapter 11 recovery. During highly stressful situations within his corporate experience, he remains a firm, clear and consistent force. He has served on various boards, including Chicago Leadership District, a non-profit organization promoting youth leadership development. Allen received his BBA (management and marketing) and MBA (finance) from the University of Iowa. Allen is an excellent coordinator and business partner. With his experience, insights corporate and analytical skills, he will be an asset to any company looking for results and growth. Our productive output improved by 60%.